If you're hankering for some Hyundai-badged, direct-injected, dual-clutched, three-door, front-drive coupe/hatch action, you'll be on the edge of your seat until the 2011 Detroit Auto Show. The Veloster, around in concept form since 2007, will finally make its production debut. 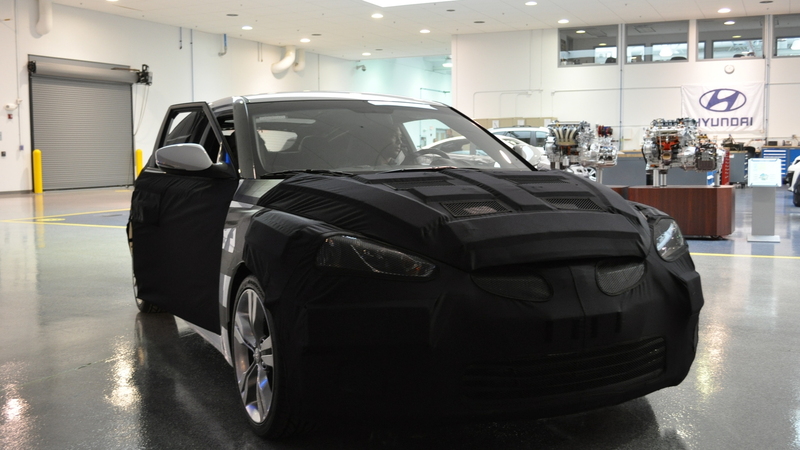 Expected as a 2012 model, the car will get a first for Hyundai: its own dual-clutch gearbox. Think that's a bit of an odd add-on for a pint-sized front-drive coupe/hatch? Not so much when you consider it's likely targeting fuel economy as much as sporty driving, teasing a 40 mpg rating in the video below. Ford's Fiesta takes a similar path to the same end result, so it's not exactly uncharted territory. 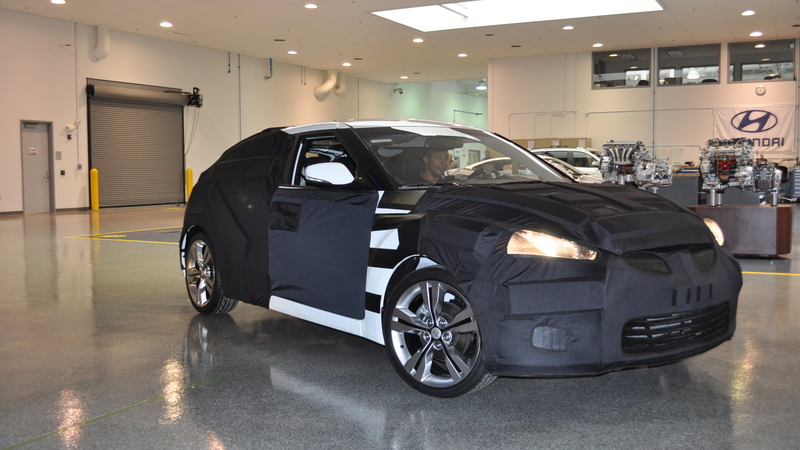 Beyond that, we've spied the Veloster in its own Technical Center (above), spotted it out and about during testing, and even seen some preview facts from leaked online sources. 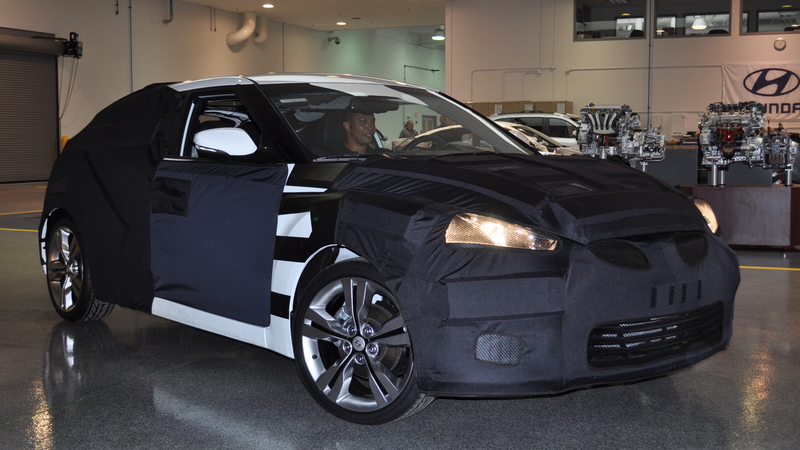 Hyundai will also be adding to the trickle of information at its Veloster preview site as the show draws nearer.